Since the beginning of 2018, the cost of cryptocurrencies has dropped several times. Experts attribute this not only to the reduced customer demand for digital assets but also to the possible actions of government structures. One of the reasons for the sharp drop in the virtual market could be government intervention. Cryptocurrency is a decentralized asset, which is difficult to regulate for a separate bank or financial institution. It is intended for performing transactions without the involvement of intermediaries in the form of the State. Money moves from one point of the world to another, bypassing the third parties. However, such a situation does not suit the regulators. You’d think that to get rid of Bitcoin and other altcoins, you must turn off the Internet, which provides the operation of the digital industry and make the competitors disappear. However, the countries will never take such a step. There are other practical measures that can have a negative impact on the popularity of cryptocurrencies and their further development. Most cryptocurrencies are built on mining. People who have powerful video cards and ASICs, receive some kind of reward for solving the blocks in the blockchain. A considerable number of transactions is processed with the help of this process. If mining disappears, the number of unconfirmed transactions will increase, the load on the network will grow, and one transfer will take a few days. As a result, the desire to work with virtual currency will disappear. Such restrictions have already been introduced in China. It is worth saying that the developers of cryptocurrencies are aware of this problem. 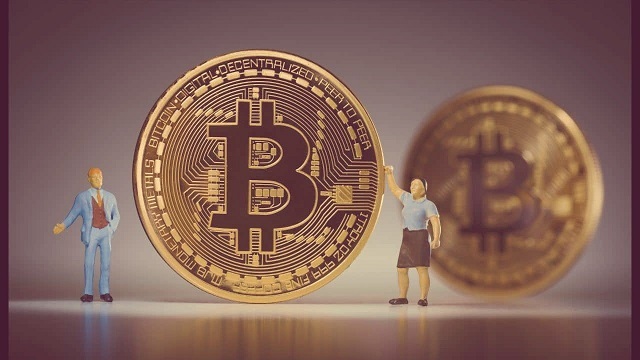 Therefore, some of them think about the fastest transition from the algorithm “Proof-of-Work” to “Proof-of-Stake,” where the dominant role is given not to the miners but to simple users who have digital coins on their account. State regulators often compare cryptocurrency with an illegal means of payment, used to finance the criminal activity. Therefore, they intend to introduce the new rules that could prevent the interaction of Bitcoin with the real world. 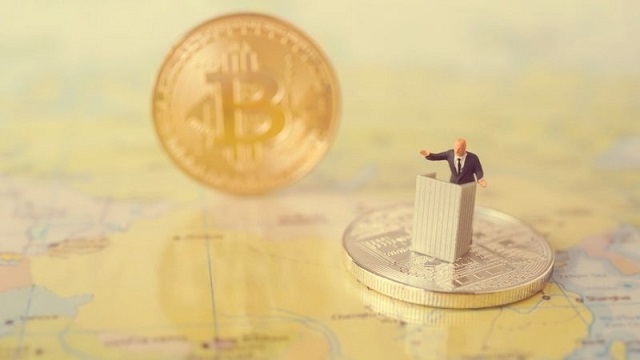 Last year, British authorities focused attention on the negative impact of crypto industry on the traditional economy. The heads of central banks are going to expand the legal and regulatory framework regarding crypto exchanges and exchangers, where many cases related to money laundering were noted. Governments are able to buy Bitcoin or other coins at any time, then to sell and immediately crash the cryptocurrency rates. As a result, there will be a severe panic among the market investors, which will be a stumbling block for them. By looking at the high volatility and risks, they will refuse to work and invest in digital assets. Besides, government authorities can significantly reduce the cost of cryptocurrencies by using the negative news background. Today, the digital economy is vulnerable to information from the Internet and various mass media. If the global network will appear unfavorable messages, the same rate of bitcoin will go downtrend. Does the state need to disrupt the digital industry today? Traditional economy has holes in the existing financial mechanism. Cryptocurrency successfully patches them. In African countries, where 60% of the population don’t have a link with the banking institutions, a digital ecosystem is a useful tool of payment for various services. Meanwhile, it doesn’t require confidence, as the transactions can’t be compromised, and the operations are completely transparent. As a result, using cryptocurrency, common people get access to the financial world. Governments understand the benefits of the digital economy, which is why they don’t hurry to nip the virtual industry in the bud. With a productive approach, cryptocurrency will become an ideal means of payments and investments in the future. Experts believe that a virtual ecosystem must have its own monetary unit, which will not have barriers in any financial transaction.